It’s hard to believe the day is finally upon us. Back in February, Nintendo of America President Reggie Fils-Aimé announced he would be retiring on April 15th, turning over the keys to the kingdom to Doug Bowser and riding off into the sunset to spend more quality time with his family. Suddenly, the day is here. Affectionately known as The Regginator, Fils-Aimé leaves behind a great legacy. From his enthusiam for working for Nintendo, to his interaction with the fans, to his passion and belief in the products he sold, to the incredible memes he took in good stride — we’re all sad to see him step down. He will be missed. There’s a little bit of a silver lining though — today Reggie created a Twitter account! His first few tweets have been regarding his departure from Nintendo. Go check it out here! 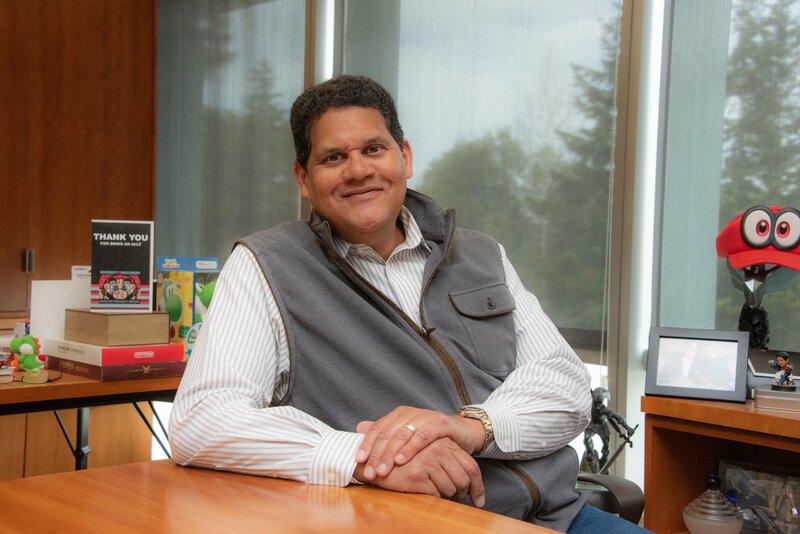 From everyone at Zelda Dungeon, congratulations on your retirement, Reggie, and we wish you all the best with your family. May your body be ready for years to come.